Warner Bros. Pictures and DC have had a very fascinating and rich history in getting their own franchise built up and accepted by audiences around the world. 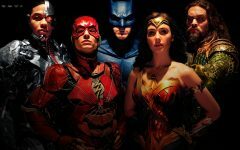 If you want to learn more about the making of one of their projects, “Justice League,” you can read my article to the right. One of the executive producers was none other than Dwayne “The Rock” Johnson. His character that exists in this universe, Black Adam, was Shazam’s greatest foe in the comics. The film is directed by David F. Sandberg, whose most notable work can be found in 2016’s “Lights Out” and 2017’s “Annabelle: Creation.” So, how was the film? Does it bring DC another win? Let’s talk about it. Before beginning this discussion, this review will have no spoilers due to it being published before its official release. 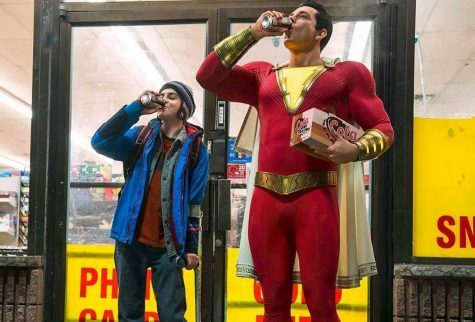 “Shazam!” tells the story of Billy Batson (played by Asher Angel and Zachary Levi), who is a troubled teenager in search of his family. 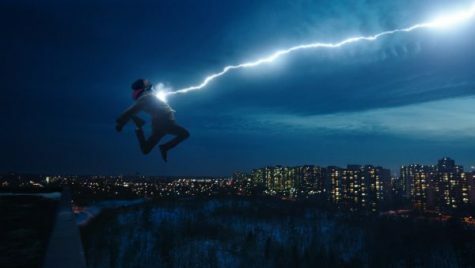 He soon is provided a home to which he meets Freddy (played by Jack Dylan Grazer), who is obsessed with superheroes and superpowers. When an ancient wizard (played by Djimon Hounsou) grants Billy superhuman abilities, Freddy helps Billy in learning his own powers and the responsibilities of being a superhero. Zachary Levi shines as the title character. His first role in a superhero film was Fandral in the Marvel Cinematic Universe. The film succeeds in many areas and provides the viewer with an overwhelmingly fun experience. The first of which comes from its tone. It is perfectly balanced between fun and seriousness. It knows when to bring humor and when to bring heartwarming moments. It never favors one over the other. The chemistry between Levi and Grazer stole the entire movie. You immediately buy into their relationship the moment they come on screen. They both played off greatly to each other, which lead to many funny moments throughout. The same can be said with the chemistry between Angel and Grazer. The performances, from the main and supporting, were solid across the board. This then leads me to my next positive which was the humor. The humor worked great and never felt forced or overplayed. There are many moments throughout that will have you laughing and smiling. The reason for it working is as a result of being naturally woven rather than being forced down on the viewer. Asher Angel is the emotional core to the narrative being presented. His performance was both fun and relatable. The direction from Sandberg was excellent. He gives proper time and care for the characters to be developed and provide an origin that fits nicely in the world established. Sandberg also implements a tone of which he has had experience in, which would be elements of horror. There are small moments in the film that fit within that genre and work in context here. The film is also very self-aware of what it is. The biggest and most obvious comparison is the 1988 classic “Big.” Both share very similar traits in the story and narrative structure. However, instead of simply borrowing story elements, the film uses them to their advantage and utilizes them in their own spin. They quite literally give reference to “Big” in this film. I won’t say how in this review. Even though there are lots of positives, the film does have one issue. That issue is its villain. 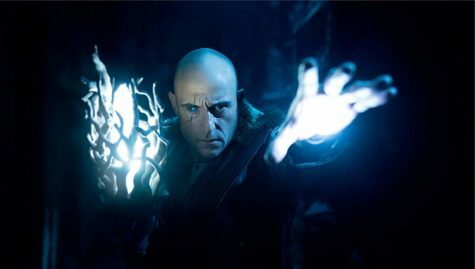 Mark Strong portrays the main antagonist, who goes by the name Dr. Sirvana. The character’s first appearance in the comics was in February 1940. Strong himself delivers a solid performance. His character, however, is very bland. His backstory is very predictable and only serves as something for the superhero to defeat at the end. The character doesn’t deliver a presence that is either menacing or threatening towards our heroes. “Shazam!” is an absolute blast from start to finish. It has loads of heart, rich characters and many moments that will leave you with a smile. It’s refreshing, the best that this universe has delivered thus far, and I’m already looking forward to the sequel and seeing these characters once again.